Ahead of the Ligue 1 match between Nice and AS Monaco, Thierry Henry opened up about the friendship he has with manager Patrick Vieira. 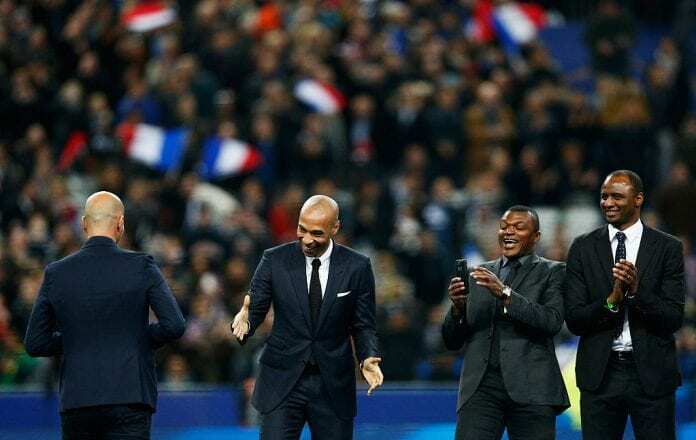 The story between managers Thierry Henry and Patrick Vieira goes all the way back to the final years of the ’90s decade, they both started to play in the France youth academy and shared a bond from the very start of their careers. Patrick made his debut with AS Cannes in 1993, whereas Henry did the same one year later with AS Monaco. Both of them moved to Italian football after their time in Ligue 1, but none had the success at club level until Arsene Wenger appeared as the figure who gave them their big break at Arsenal FC in the Premier League. While Vieira was already a regular with the Gunners by the time France won the 1998 World Cup, Henry was coming up through the ranks and had a minor role in the first World Cup championship in French football’s history. Both players went on to develop a unique relationship as soon as Henry moved to English football in 1999, with Patrick Vieira becoming the best box-to-box midfielder in the world and Thierry transforming into arguably the most decisive Premier League striker since Alan Shearer did the same when he played for Newcastle United. Ex-Arsenal and France team-mates Thierry Henry and Patrick Vieira meet for the first time in their managerial careers this week with Henry admitting he will "not like Vieira for a little bit." Together, Thierry Henry and Patrick Vieira went on to win two Premier League titles, two FA Cups, and one Community Shield for Arsenal. For France, the two players share the honors of winning the 1998 World Cup celebrated in their own country, and also won the 2000 European Championship while representing their country’s first of two golden generations of players. After Patrick Vieira left Arsenal in 2005, he moved to Juventus and then to Internazionale Milano where he won an impressive four consecutive Serie A titles while still playing at a very high level. Henry’s career was a lot more successful, as he went on to become an essential part of the legendary Pep Guardiola FC Barcelona squad that won all six titles in one natural year (2009). The last time the two of them played an official match together was in the 2006 World Cup in Germany, a tournament they, unfortunately, lost against Italy in penalties. Now that time has gone by and both of them have started their careers as managers, Vieira pointed out how funny it was that they both started in the South of France for Ligue 1 clubs. "For a little bit, we are not going to like each other." They are about to face each other on Wednesday, in a midweek game where they will have to dislike each other for a short period of time. Patrick Vieira already spoke wonders about his relationship with Thierry Henry, both men share an unbreakable friendship that they are going to have to pause for 90 minutes when they play each other tomorrow. It was Henry’s turn to respond to Vieira’s praise and he wanted to be a little bit ironic, as he stated that he begrudgingly would have to dislike his good friend for a little bit during the match. AS Monaco needs a victory far more than Nice does at the moment, as they are currently still in the relegation zone and they are doing everything they can to get out of there by starting to win their matches. Thierry Henry still has to win his first match as a professional manager in Ligue 1. “What can I say about Pat, for a little bit we are not going to like each other because we are not supposed to like each other playing that type of game,” said Henry to the press via BBC Sport. “He is a guy that I really admire not only as the player that he used to be but, the man himself also. 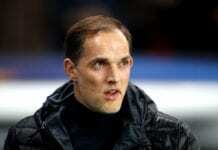 Hopefully, this can be a good game and we win in the end,” he concluded. Who will win in this match between frenemies, Thierry Henry or Patrick Vieira? Please share your opinion in the comment section down below.